Deebo Samuel picks up a big chunk of yards against Coastal Carolina. 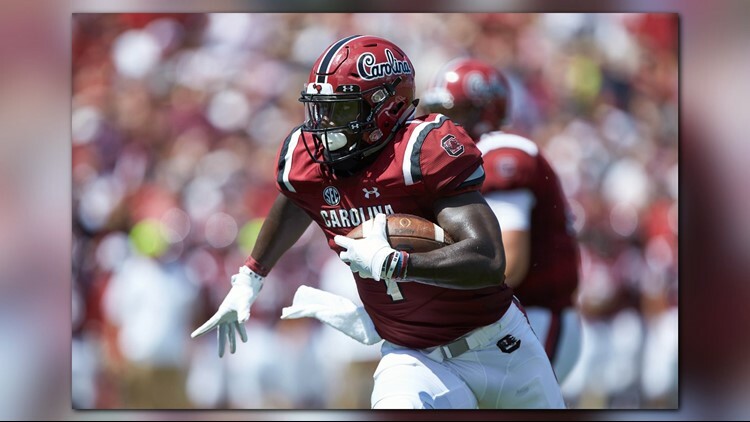 COLUMBIA, S.C. — Former Gamecock Deebo Samuel impressed NFL Coaches and scouts during practice at the Reese's Senior Bowl and now the Inman native is climbing draft boards. CBS Sports projects Deebo as a late first round pick. Some mock drafts have him going 27th to the Raiders. Deebo finished his career at USC with over 2000 receiving yards and 23 touchdowns and is one of the best kick returners in SEC history. Deebo will also attend the NFL Scouting Combine at the end of February. He'll be joined by former USC linebacker Bryson Allen-Williams and offensive lineman Dennis Daley who came out of Ridge View High School in Columbia.